Fire the same guns used by Her Majesty’s Special Air Service (SAS), the elite branch of the United Kingdom. 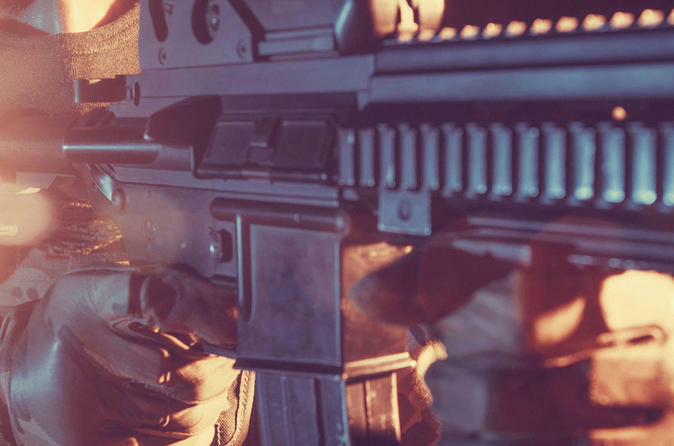 By taking part in this SAS Shooting Range Experience, you’ll be able to start off small and finish with a bang with a selection of hardware on hand that covers all the bases, from pistols up to the unbridled might of a pair of assault weapons. Your package includes the Sniper Rifle, Glock, MP5 and the HK 33. Over the last 50 years, the United Kingdom’s Special Air Service (SAS) has influenced the Special Forces of militaries all over the world and in recent years, SAS officers have risen to the highest echelons of the British armed services. The SAS represents the pinnacle of special forces training and execution, capable of operating in almost any theater or environment and coming away victorious . This package is tailored specifically to put you behind the trigger of an SAS operation and you’ll be able to channel your inner SAS agent and get your hands on the same weapons they use on the job. Your package includes the Sniper Rifle, Glock, MP5 and the HK 33. Hotel pickup and drop-off, all ammunition and professional instructor are included.